Over its first weekend on sale, the iPad 2 sold like hotcakes. $500 Hotcakes with 9.7 inch touchscreens and front-and-back-facing cameras. 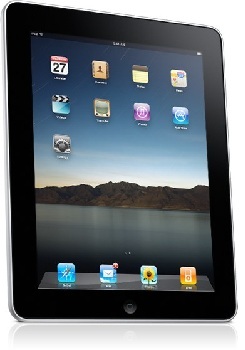 Since its release last Friday, the iPad 2 has sold about 1 million units. In comparison, it took the original iPad 28 days to hit the 1 million mark, and it had the same price as the new generation of iPad. All over the US, stores are reporting that they've completely sold out of the tablet computer, with some even reporting running out of the iPad and all related accessories withing the first 10 minutes of being available. Brian WHite, an analyst for Ticonderoga Securities, wrote "Our field checks over the weekend indicate that the iPad 2 sold out at every Apple and non-Apple store we contacted. In fact, all the stores had worked through iPad 2 inventory by Saturday afternoon, and there were no new iPad 2 deliveries on Sunday." "We would not be surprised to see Apple sell closer to 1 million iPad 2's in the opening weekend," added Wedbush Securities analyst, Scott Sutherland. Though there are competing devices that have been or soon will be release, it is expected that Apple will make up 61% of the tablet market throughout 2011. The iPad 2 will be out in the UK March 25.